Hello wine lovers and happy wine Wednesday! I hope your week is a good one thus far. For me, it has been a week filled wine as I am currently up in Penticton for three days of B.C. VQA wine panels. There has been much discussion around the water cooler by my fellow panelists and wine lovers about the current state of B.C. liquor laws. I am angered on so many levels I don’t know where to begin. What I do know is that I am going to continue to buy wine and support independent wine stores now, more than ever, as they will suffer the most by the new laws effective April 1st. 2015. I hope you are with me! On to some fantastic B.C. wine for my wine review of the week… I went into the B.C. VQA Wine Information Centre and ran into the ever-knowledgable Erin Korpisto. Erin and I first met each other two years ago at the Wine Bloggers Conference that was held in Penticton. Erin walked me through the store as I asked for her guidance in selecting a bottle of red wine. 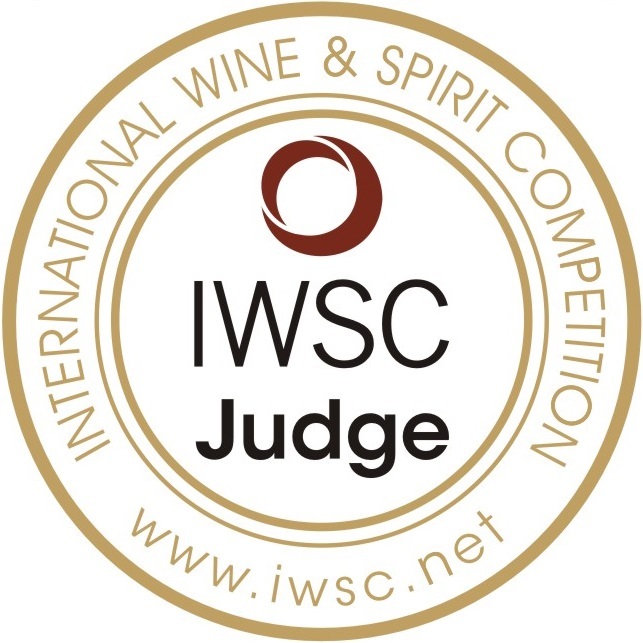 One of my selections was Moon Curser’s ‘Border Vines’ B.C. VQA 2012 from Osoyoos, B.C. This is my first ever Moon Curser wine and it was a tasty introduction. ‘Border Vines’ is a Bordeaux variety blend of Merlot, Cabernet Sauvignon, Petit Verdot, Malbec and Carménère. In the glass, it is a nice deep purple colour with aromas of black cherry, blueberry, blackberry, liquorice, plum with whiffs of black pepper and baking spices…yum. On the palate, it has nice tannins and good acidity. The flavour profile mirrors the aroma profile with more of the plum note coming out as well as chocolate and a dash of leather. This wine has great balance and a lingering finish. 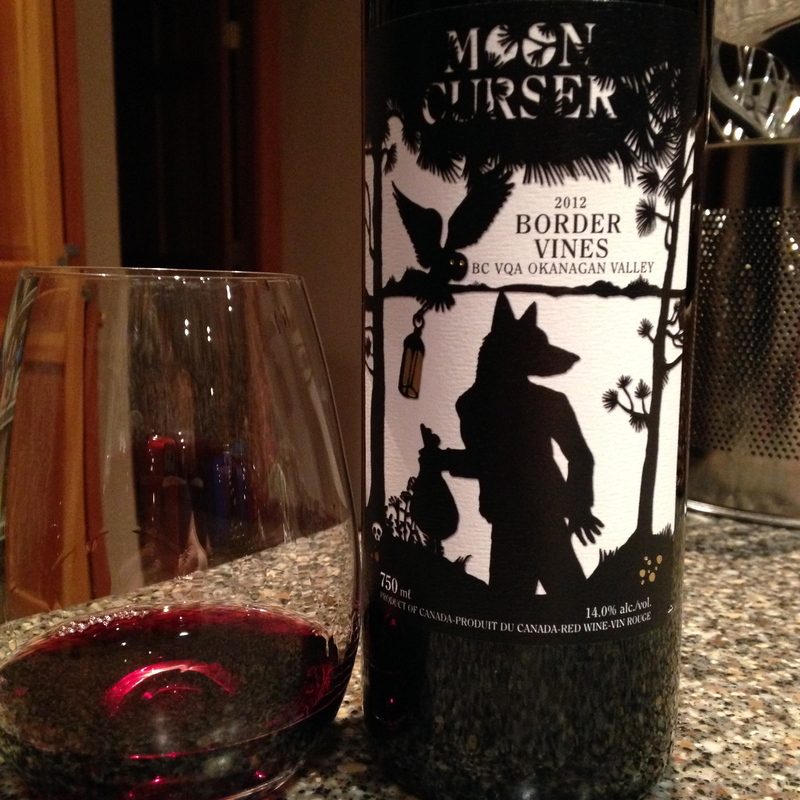 Moon Curser’s ‘Border Vines’ retails for $24.90 and let me say, this is a great value. I appreciate paying under $30 for a bottle of wine and having a $50 experience. Thank you. I have not yet visited this winery but I will be this spring or summer. This is a straight up GGG ‘Hell Yes’ wine and one that I will be reaching for again! Just the name alone (.Moon…). Makes me want to buy it, but of course the CC reviewed closed the deal. I hope everyone is good in your hood.